5793 labyrinths found. Showing 2741-2760. Sorted by country, state, city, then zip/postal code. Visit our website for directions. 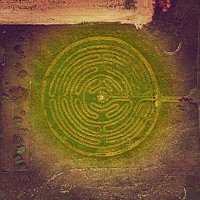 The labyrinth is generally open year-round during the same hours as our walking trails: Monday through Friday from 9:00 am until dusk, Saturday from 9:00 am until 4:00 pm and Sunday from 12:00 noon until dusk or by special appointment. Please call 217-787-6927 for more information. Located in an expansive grass lawn off the Hershey Avenue parking lot and behind the church. 40.5105 N° Lat. ; 88.9443 W° Long. The Labyrinth at Saint Giles Episcopal Church. We feed people - body, mind, and spirit. Come as you are. Between Landwehr & Pfingsten, on south side of Walters Avenue. Always open during daylight hours to all people. 7-circuit classical design with expanded center, grass path and brick walls in quiet garden setting with adjacent parking. Guy Palm in consultation with church members. The Labyrinth is available for use by area organizations upon request. An original design based on a circular labyrinth with 5 meditation areas including the center which can be used for guided meditation. SW corner Euclid & Washington Blvd. Enter on Euclid. Open 7 - 9 pm second Friday of each month, or call. Open for scheduled events. Situated on reclaimed farm fields in a land stewardship project, this installation lasted for the season. "Honoring the Ancestors" pays tribute to the Fox and Sauk tribes of the Rock River Valley. 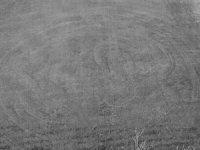 The idea for the glyph reaches back in Illinois' geographical heritage to the earliest settlers, who left behind artificial mounds in circular, oval, and animal forms. "Monkey Big Dipper" was locationally placed to reflect the big dipper's position in the sky at that time. Created during the Chinese Year of the Monkey. "Hummm" is a prayer to the restoration of the natural harmonies of our earth. All living forms have a unique sound that they contribute to the full symphony of the planet. Although the loss of single notes seem almost imperceptible, those notes reflect the loss to the overall integrity of our ecosystems. "The Dancing Spider Wheel" reflects the inter-relatedness of all beings on earth. Through the ancient universal medicine of the spider we can weave a future honoring our relationship to the land, respecting our resources, and creating new wheels of life. It is available during the spring, summer, and fall. nestled next to beautiful oak woods. All are welcome any time! Walk along the westernmost walk way from the parking lot and circle around to the far southern border of the Wildwood Nature Center and you will find the labyrinth near the pond. Labyrinth is painted on the parking lot. When church and other activities are well attended, vehicles may possibly be parked on top of the labyrinth. Five-circuit medieval style labyrinth with large gathering space at centre, surrounded by a yew hedge maze, based on the design of the Somerleyton Maze, England. Maze planted with 500 Yew bushes. Labyrinths in Stone, Yorkville, IL. Labyrinth 40 feet diameter, maze 90 feet wide. Call during school hours, to get permission to visit. five path design, representing a tree. lines are painted pavers, path is crushed granite. With brick and stone inlays. Staff and students of the school, with the help of Artistic Pavers, Inc.